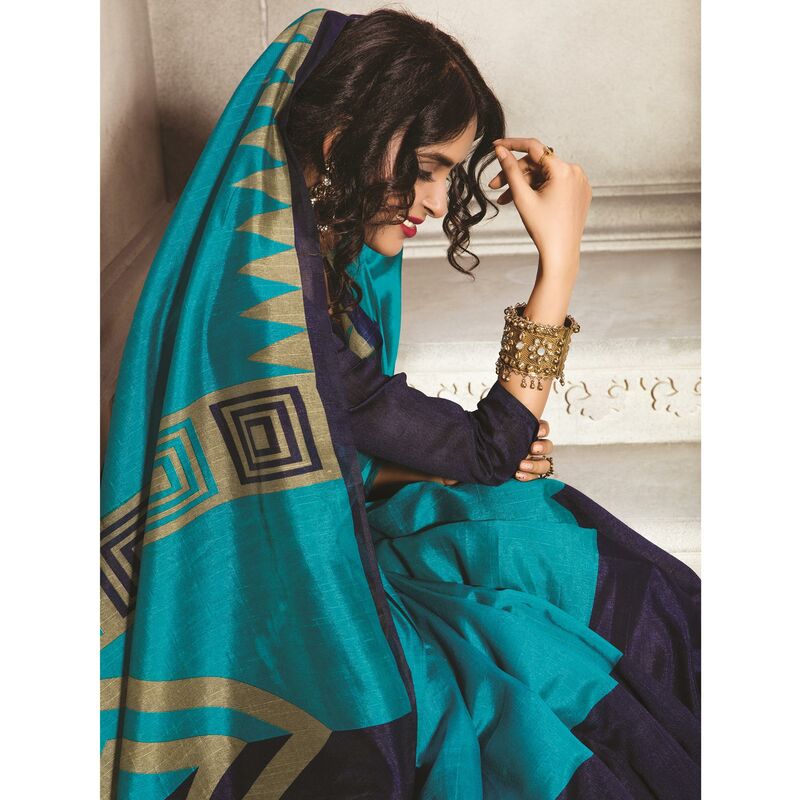 This turquoise - blue colored saree with geometrical pattern is perfect for your casual & traditional look. 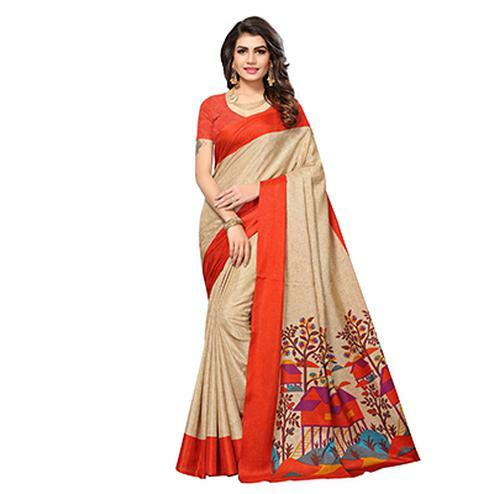 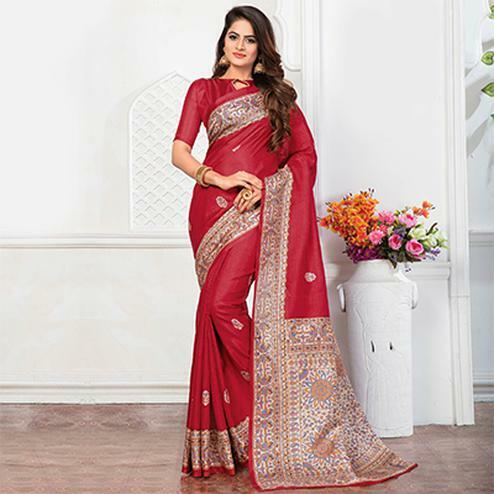 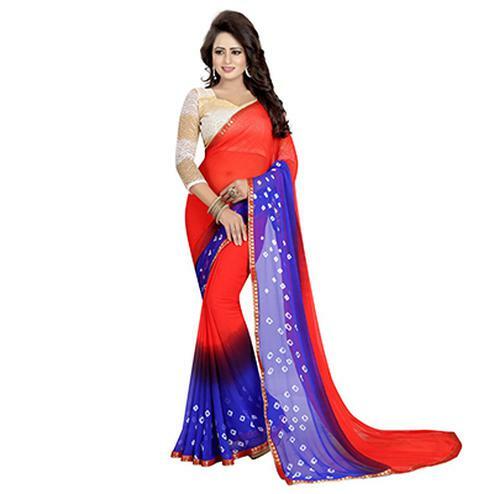 Made from bhagalpuri silk fabric, this saree makes the wearer feel comfortable all day long. 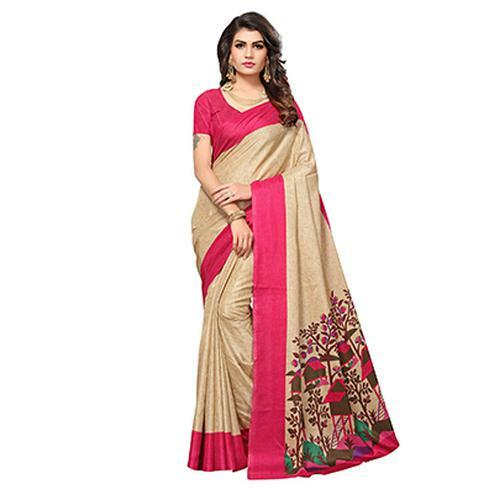 Saree paired with matching unstitched blouse piece.